I’m going to pick up yet another Singer after work today, a stunning 347 in pristine condition with a maple table. How could I say no??? 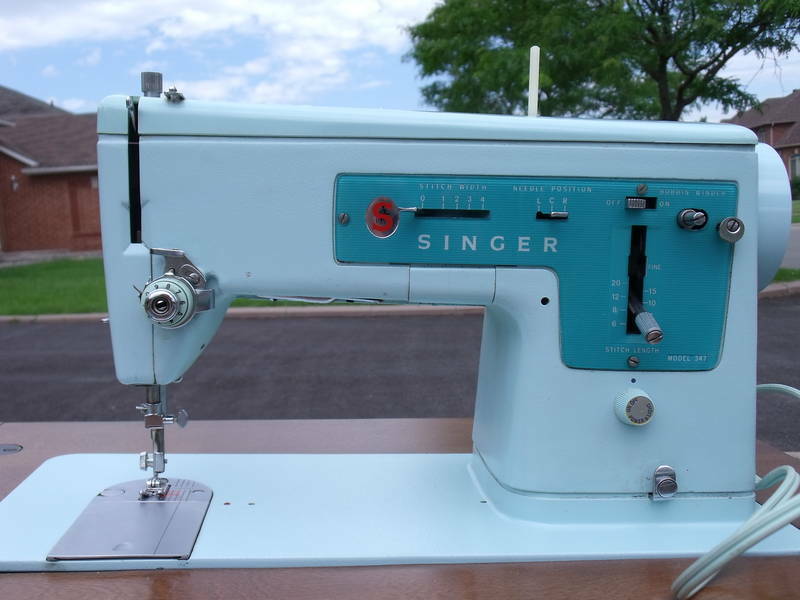 This entry was posted in Sewing Machine, Singer, Vintage by Tabatha. Bookmark the permalink. Love it! I have one too! Holy cow, I don’t even know if I still have this machine, I think I may have given it to my neighbor. Typically, older sewing machines sell from anywhere between $20 – $100 depending on the brand and condition. This excludes the black Singers. So glad you’re enjoying my blog, thank you so much for stopping by!